Please click HERE to read our guidelines before booking a group study room. The Donald W. Craik Engineering Library serves the Faculty of Engineering's four departments: Biosystems, Civil, Electrical and Computer, and Mechanical Engineering. It also serves as an information resource for practicing professional engineers and consultants, the general public, and other libraries beyond the U of M.
The Donald W. Craik Engineering Library is located in E3-361 of the Engineering Building's third floor, shown as building 3 on the Fort Garry Campus Parking Map (beside the EITC Atrium). Get information and basic research assistance. Borrow and return library material. Pick up Holds and Document Delivery. U of M staff and faculty can visit the library's front desk or call 474-6360 to book. Food is not allowed in the lab. Engineering course reserves are kept in a kiosk just outside the library doors. Reserves can be accessed 24/7 with your U of M ID card and/or U of M library card. There are 3 group study rooms in the Engineering Library. Rooms 362B and 362C have a capacity of 2-4 people and room 362D has a capacity of 2-10 people. These rooms are for study purposes only. Please read our general study room guidelines before booking. Donald William Craik (1931 - 1985) was born August 26 and raised in Greenway, Manitoba. He enrolled in Engineering in 1952 and was awarded his B.Sc. (ME) degree in 1956. As an undergraduate, Don was active in social, athletic and Student Council activities. He was Senior Stick in 1955-56. From 1958 to 1967, Don was employed as a Lecturer, Assistant Professor and Associate Professor of Mechanical Engineering at the University of Manitoba. He was awarded his M.Sc. degree by the University of Minnesota in 1960. He served as Director of the Manitoba Research Council from 1964 to 1966. Don was elected to the Manitoba Legislature in 1966. The following year, he became Minister of Natural Resources in the Roblin government. 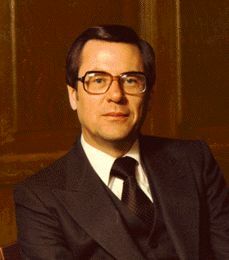 During the next 18 years, he served Manitoba as Minister of Education, Minister Responsible for the Libraries Act, Minister of Finance, Minister Responsible for Manitoba Hydro, Chairman of the Treasury Board, Minister of Energy and Mines, Minister Responsible for Manitoba Forest Industries, Chairman of the Cabinet Committee on Economic Development, Minister Responsible for the Manitoba Development Corporation, and Deputy Premier. Apart from his government responsibilities, Don worked as a consulting engineer in Winnipeg from 1966 until his untimely death September 3, 1985 at Clearwater Bay, Ontario. E3 - 363B Engineering Bldg. Phone (204) 474-9445 or Fax (204) 474-7520.